Affiliate Video Pro is a clever and useful WordPress plugin that lets you easily boost your affiliate commissions using any YouTube video. Find a video on YouTube about a product you want to promote. This can be a video in any niche or industry: a product sales video created by the developer, a training video … even someone else’s review video. Add the YouTube video to the Affiliate Video Pro embed tool, then quickly trim it (skip a long intro or a long ending and show only an enticing section of the video), add a headline, a call to action button and your affiliate link … all this only takes about a minute! Paste the video shortcode into a post or page. When users watch the video and want to know more about the product, they will be taken to the product offer page or a landing page via your affiliate link. Affiliate Video Pro installs like any other WordPress plugin (if you need help installing plugins, see this tutorial: How To Install WordPress Plugins). After installing, activating and unlocking the plugin, you will find all the features you need to use this tool inside your WordPress dashboard. If you sell products through affiliate marketing, your affiliates can post your sales, training and product review videos on their sites using one of these script options (remember to use the direct URL to your product page in the video). The plugin also has a premium version with additional useful features. When using affiliate links, we recommend using a link redirection management tool. This allows you to easily redirect your affiliate links to other products or landing pages if anything happens (e.g. the product owner moves the page to a different location or the product becomes unavailable). Build a searchable library of affiliate offers. Generates video shortcodes and scripts (use these to add your videos to other websites). Tracks video engagements and conversions. Premium features let you save time by searching videos based on keywords, instantly create new affiliate videos with one-click, and view useful insights and data from selected videos … all without leaving your dashboard. Use this tool with your own videos or any video listed on YouTube that is suitable for your promotion. If you use WordPress to promote affiliate products or plan to make money online with affiliate video marketing, Affiliate Video Pro is a ‘must-have’ plugin. We hope that you have found this information useful. In other tutorials, we explain how to monetize your digital presence with Amazon products using WordPress Amazon affiliate plugins like StreamStore and InstantAzon. The plugin then tracks those items on Amazon and sends your prospects an email as soon as the item goes on sale or is offered at a bargain price, helping them save money. When they buy the product at a great price, you get an affiliate commission from Amazon. 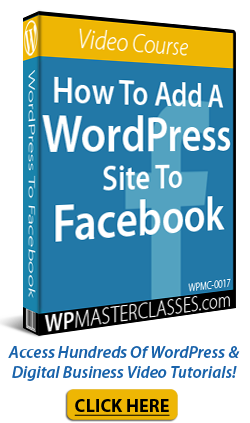 Once visitors subscribe, the plugin creates a new user account on your WordPress site and automatically adds their details to your autoresponder account. It then goes to work for you tracking prices on their selected items, sending them price drop email alerts, and helping you to close sales automatically and hands free. Email follow-ups. You can select how many follow-up emails to be sent to users, select the number of products shown in follow-up emails, add shortcodes to emails for more flexibility, and all emails include unsubscribe/subscribe function for CAN-SPAM compliance. Instant Azon is a WordPress plugin that lets you add Amazon products to your WordPress posts and pages. With Instant Azon, you can add multiple streams of affiliate income from Amazon to your WordPress site in minutes.